Bridget is a gown with a simple, striking beauty all its own. 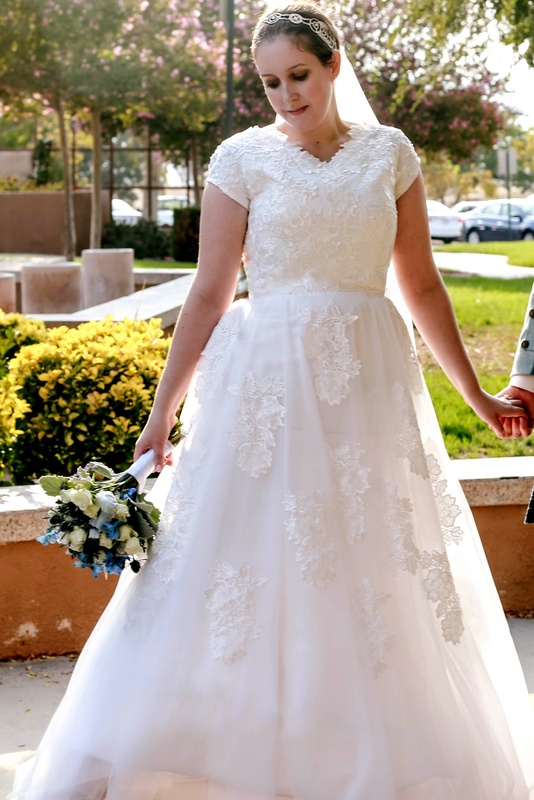 Featuring a fully-lined, lace bodice with a modest v-neck, this gown is simply exquisite. 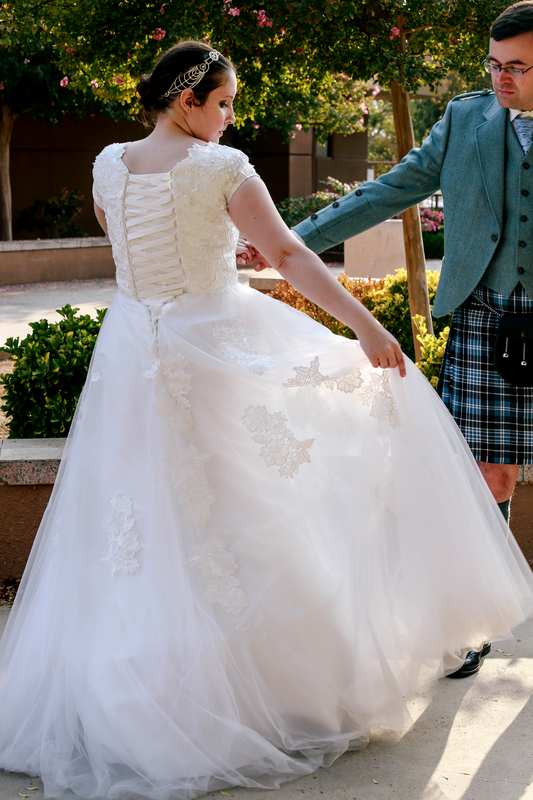 Full short sleeves compliment the bodice, whilst from the waist blooms a beautifully full a-line skirt with cascading lace appliqués. The skirt is created from one layer of satin, with three layers of wedding tulle overlaying, for a beautiful and ethereal look. Completing this beautiful gown is a lace-up back, ensuring your dress fits like a glove. Fully lined, Bridget is shown in Ivory, but also available in Snow White. For skirt fullness as shown, be sure to order our Belle Slip. Shown with our Katrina Bridal Headpiece. 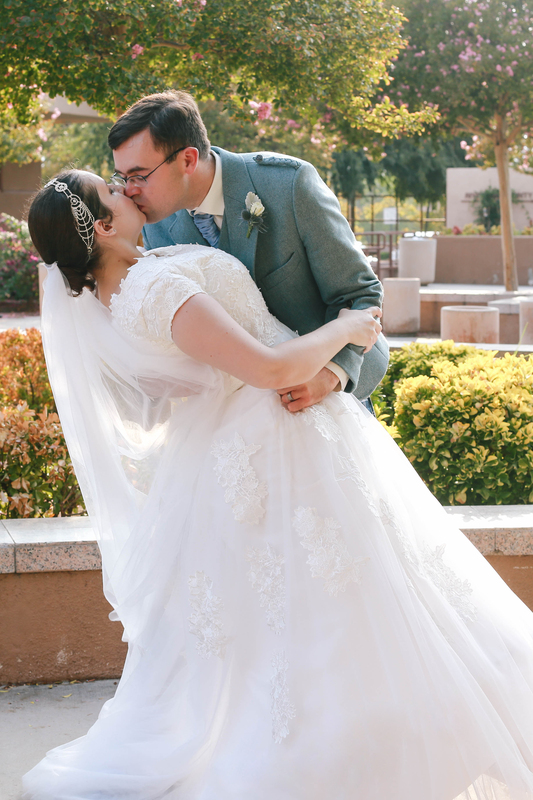 My wedding dress was absolutely what I dreamed of! It was so easy to order and the price was unbelievable! 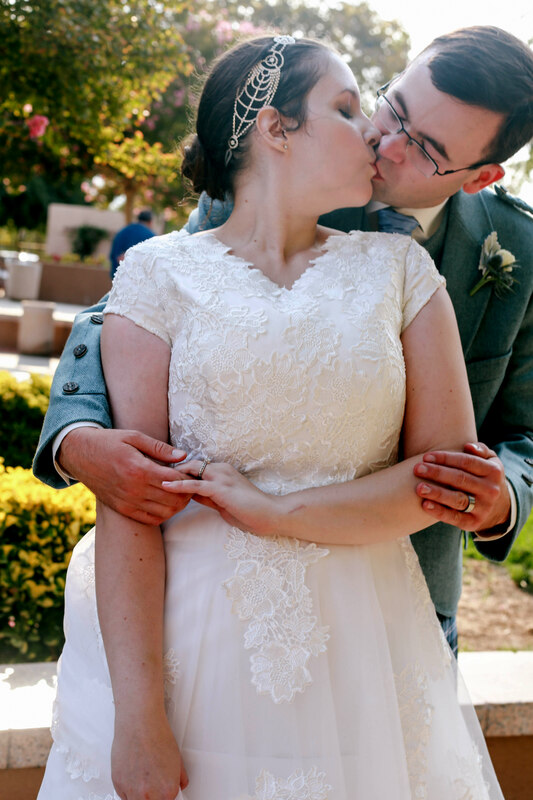 I had to have a few minor alterations done, but overall the workmanship was beautiful and my dress was exactly as I hoped it would be.